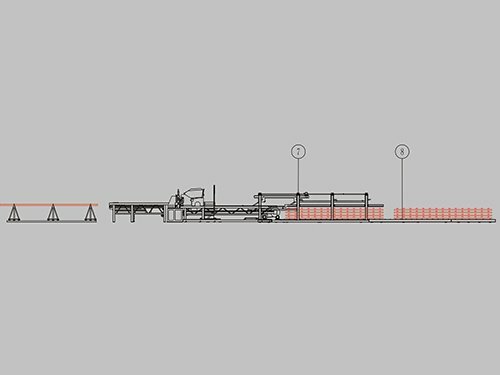 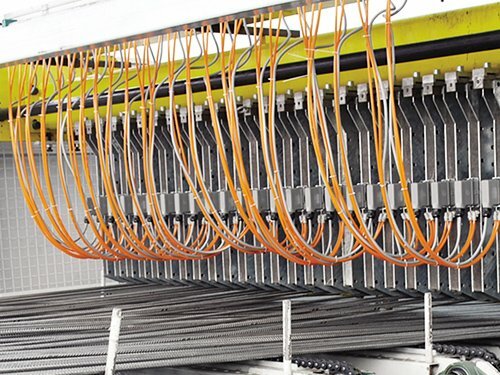 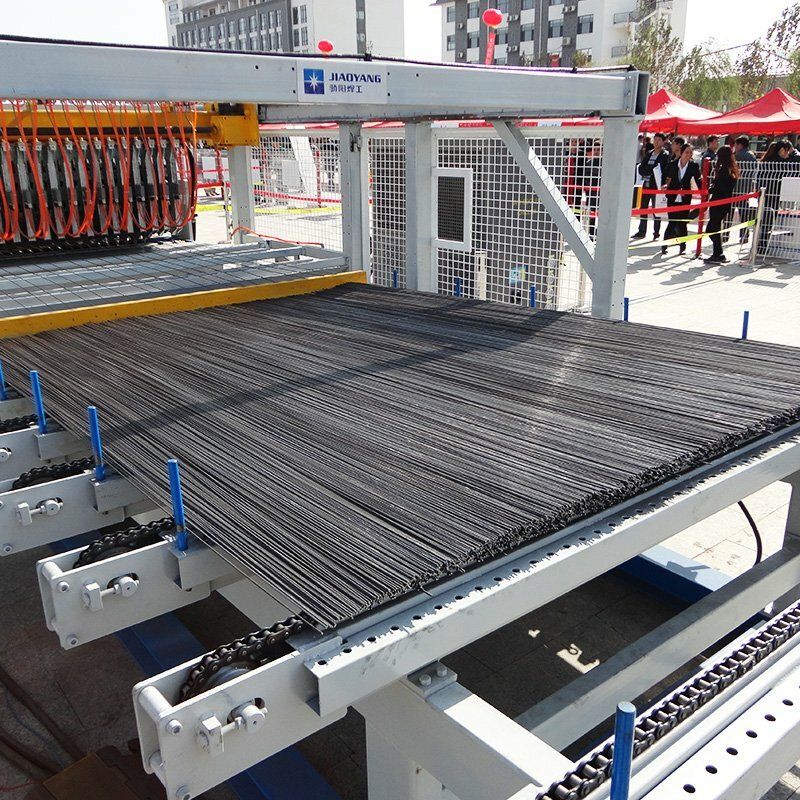 Reinforcement mesh line can also be called reinforcing mesh machine, reinforced mesh machine. 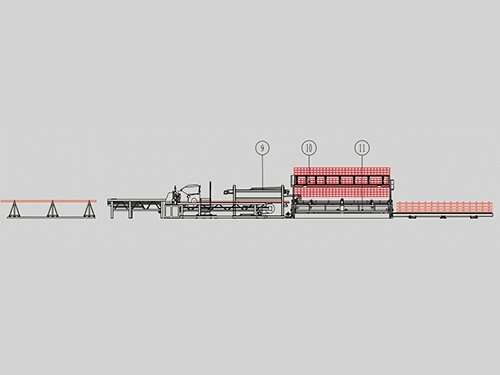 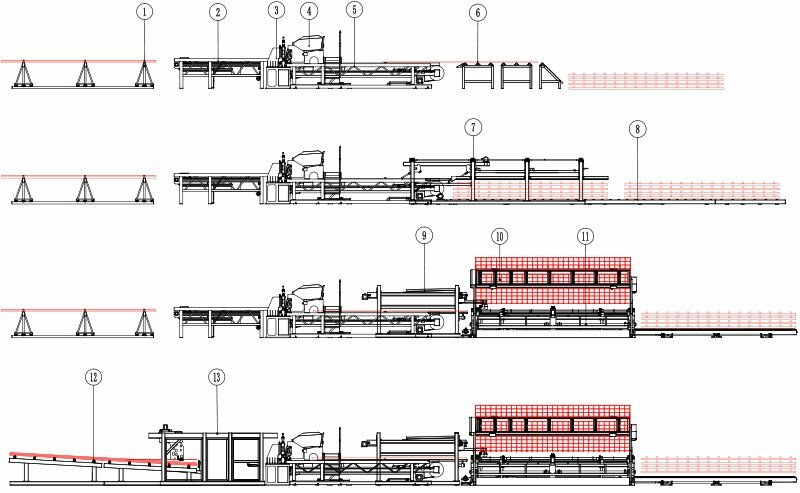 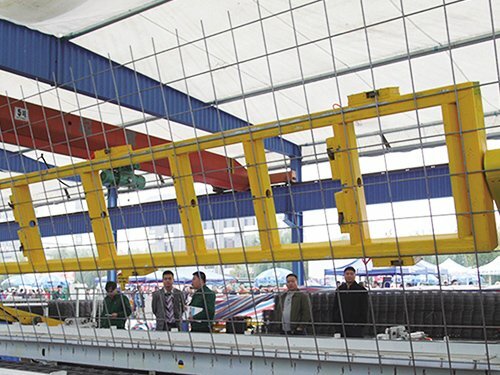 Reinforcement mesh line I is an automated steel mesh welding equipment,Reinforcing steel mesh is mainly used in coal mine roadway protection and reinforcement, concrete pavement, deck pavement, airport runway, tunnel lining, house floor, roof, wall, floor, concrete pipe, pile and so on. 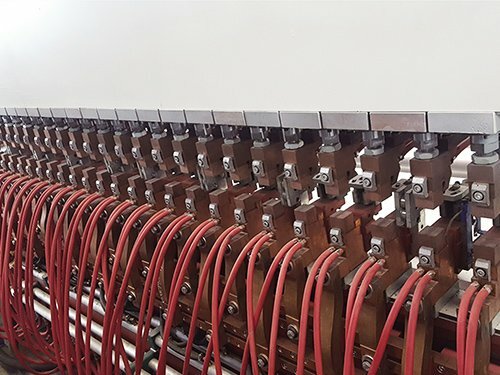 2.Both the welding electrodes and transformers are equipped with water-cooling system to prolong the service life. 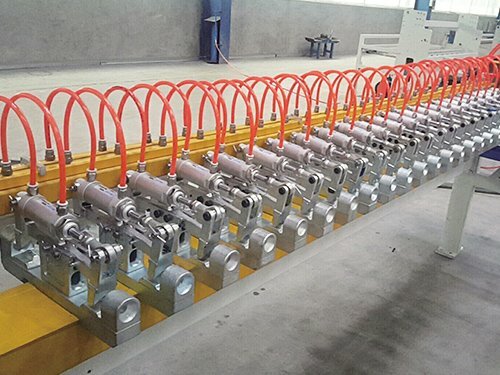 3.Cooling circuit with stainless steel quick plug connector, change the machine convenient and quick; use high temperature water hose, to prevent welding slag hot. 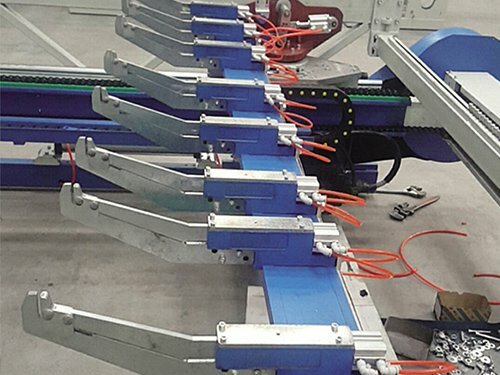 4.The welding adopts synchronous power control and separate-control, welding process is controlled synchronously by electric board, making the welding transformers working simultaneously or separately. 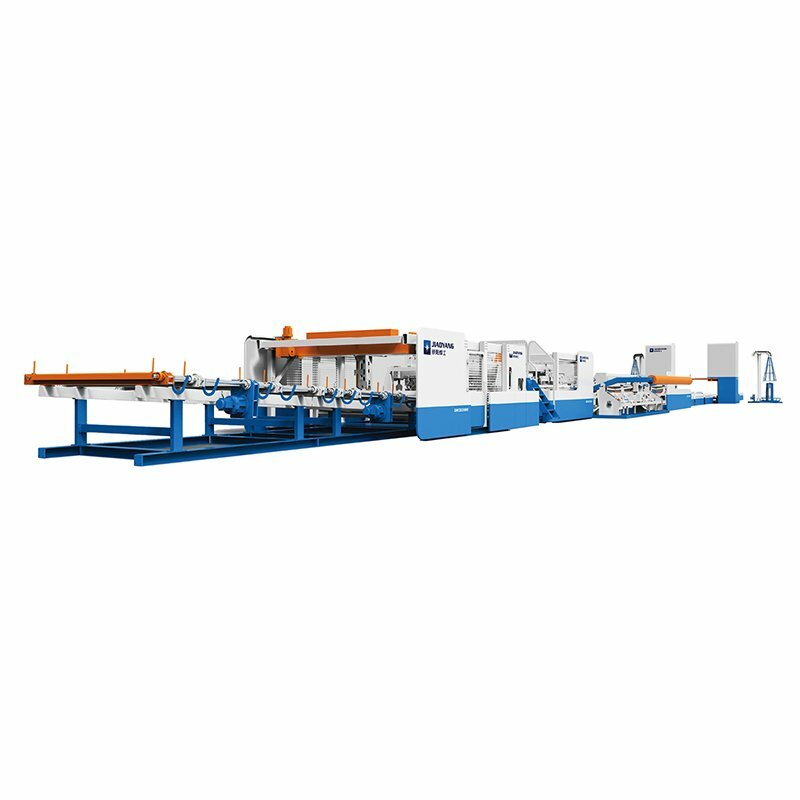 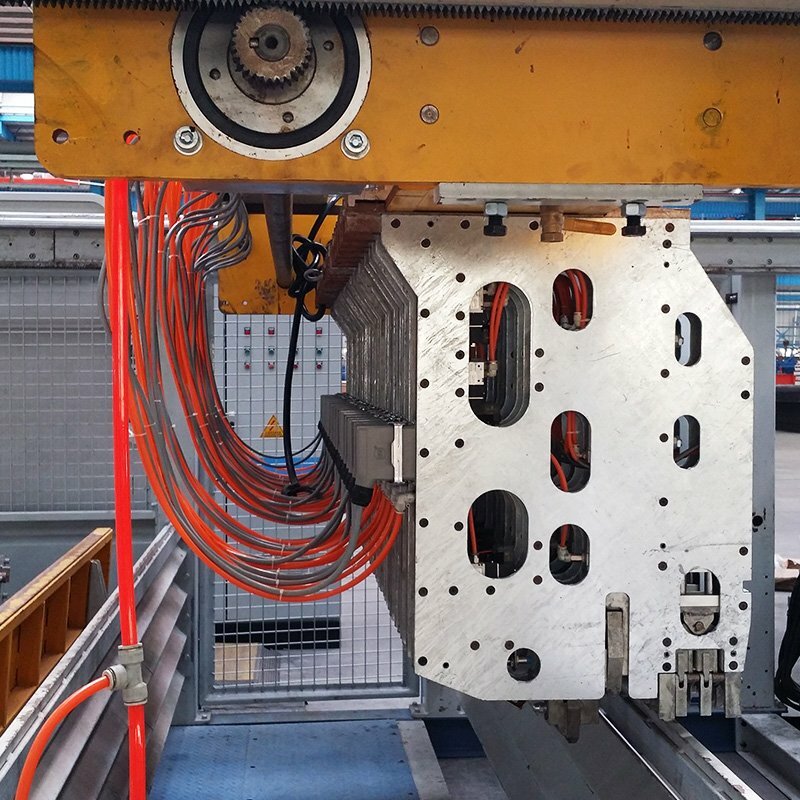 5.Main structure of welding machine adopts motor drive, spring weighted, making cost cheap. 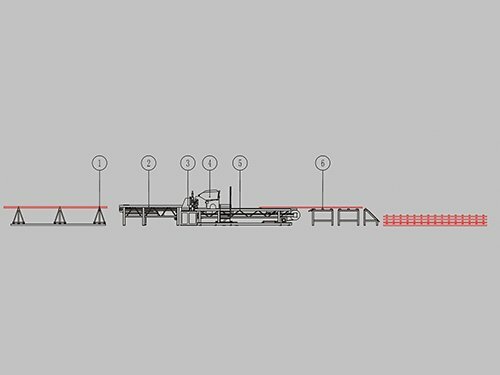 6.Welding material can be hot-rolled ribbed bar, cold-rolled ribbed bar, hot-rolled plain bar, cold-rolled plain bar, etc. 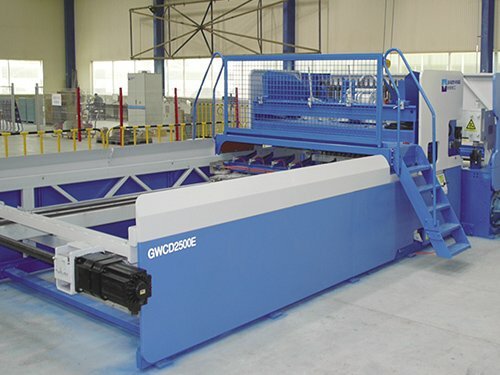 7.Can be equipped with the devices of turning over, dropping, automatic packaging. 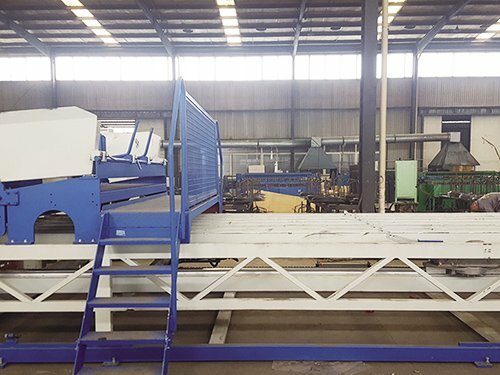 Cross wire hopper,Loading capactiy of hopper:1.5-2t,Cross wires are pushed by servo pushing device,which save the fallen time. 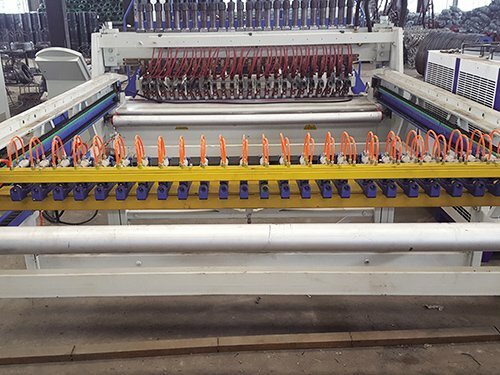 Welding unit,Welding pressure is from big springs,which saves the maintain cost.Mesh size is adjustable 100-300mm Weldingspeed:upto 80times/min. 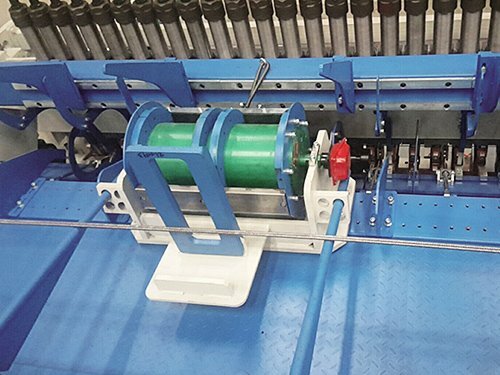 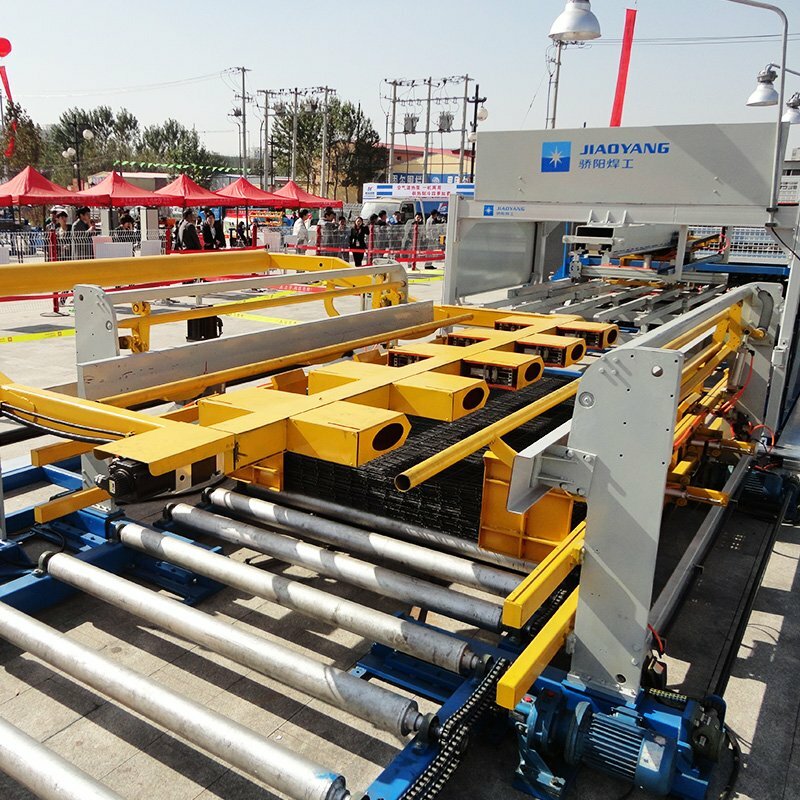 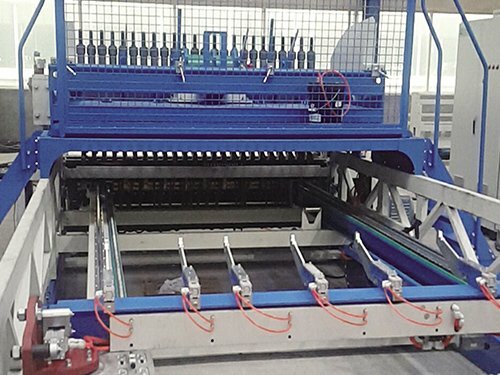 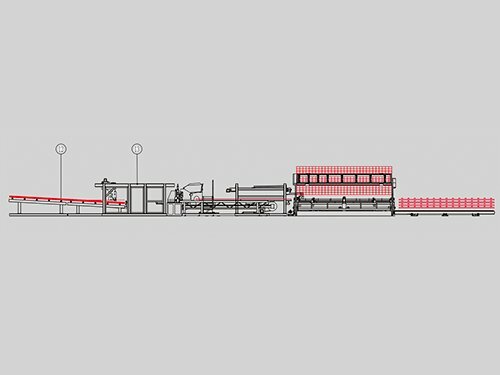 Pulling mesh hook,15KW servo motor pulling mesh hook,speed 3m/min.Mesh pulling railway length is 4.5m,the pullling cart can run in round-trip.